On one of my visits to Orkney I found in the Orkney Room of the Kirkwall Library a book on Omond’s Diary referring to a business journey from Orkney in 1789. In this was a reference to a journey to Liverpool on Tuesday 9 June 1789. He left Kirkwall and spent two nights waiting to get a passage in a smack from the village of St Margaret’s Hope in Scapa Flow. The entry explains that this was probably one of the lobster smacks that came north from Gravesend twice monthly during the summers to buy up the local catch of lobsters for the London market. Could this be how the two men worked as fishermen and arrived in the Thames? but I have been unable to find any information on these two companies even at PRO, Kew, or Companies House. It would be most helpful if anyone has any information. The two young men were in their mid-teens when they arrived in Gravesend and later they were listed in the 1851 Census as being born in Orkney and their trade shown as fishermen. The name SUTHERLAND is mainly found in the islands of Walls and Flotta with a few in South Ronaldsay. WILLIAM’s first recorded date of existence in the Gravesend area is his marriage to a MARY HARRISON at Swanscombe on 9th October 1793. WILLIAM JOHN their son was baptised at St George’s Church, Gravesend, on 25 th January 1801. ROBERT’s first recorded date is his marriage to a SUSANNA HARRISON at St George’s Church, Gravesend on 4th June 1799. MARY and SUSANNA were sisters baptised in Swanscombe. There then appeared about the same time a young girl from Scotland named FRANCIS SUTHERLAND and in a later Census she is stated as an Aunt to one of ROBERT’S children – could this be a sister of ROBERT or of WILLIAM? Interestingly she does not say that her birthplace is Orkney as the two men did – but Scotland. During one of my visits to Orkney I was told that “No true Orcadian would say they were born in Scotland if they had been born in the Orkneys. Therefore could she have been born on the mainland? The name of FRANCIS was rarely used in the islands in this period. She never married and died in Gravesend in 1860. Interestingly she is buried in the same grave with WILLIAM and ROBERT in the Gravesend Cemetery. The gravestone unfortunately only records their names but no relationship. 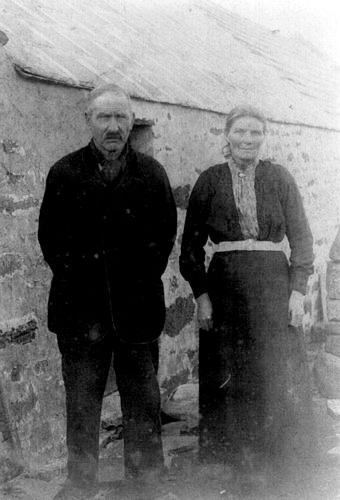 To date I have been unable to establish if these are brothers / sister or cousins because it would appear that WILLIAM was baptised in Flotta and ROBERT in Walls – FRANCIS unknown. I do have a problem with WILLIAM’s parentage as on the certificate for his second marriage in 1838 his father is shown as JOHN – but I can find no record that shows a JOHN having a son baptised in 1771 – but there is a JAMES SUTHERLAND and ANN PEEBLES having a WILLIAM baptised on 12th March 1771 in Flotta and I feel fairly certain that this is my WILLIAM. I have also been unable to trace a marriage for JAMES SUTHERLAND and ANN PEEBLES, which may give me some clues as to the real identity of JAMES. The name of PEEBLES does appear in the islands, so I am hoping that one day this information will become available. On one of my visits to the Archives Office in Kirkwall Alison found me an Abstract of the Survey of the Island of Flottay surveyed by David Aitkin 1766. This includes 3 JAMES SUTHERLAND and 1 JOHN SUTHERLAND listed and interestingly JOHN had been crossed out and JAMES inserted and one JAMES crossed out and JOHN inserted – infuriating isn’t it – but that is family history. I have also listed all the SUTHERLAND’s shown on Flotta and I had indeed made a “Casagram” showing the families living in the various crofts over the years. This I will write about on another occasion. The family name of SUTHERLAND has been a well established Thames waterside name in Gravesend from then until now and the men of the families have always been associated with the sea – fishermen, watermen, tugmen, Trinity House pilots [one being an uncle of mine who was a past President of the Cape Horners Association] . The research has led me to many interesting aspects of the river and the Orkney Isles and their history. The reason for writing this article is to try and tie some of the loose ends together and hope that somewhere out there someone might know something about the two fishing companies mentioned or any knowledge of the sea trades between Orkney and the Thames in the period mentioned or just have an interest in the family. I have been very grateful to various SUTHERLAND’s presently living in Orkney for sight of their family records but I would be more than willing to exchange ideas and information with anyone interested in the SUTHERLAND family. Previously published in Sib Folk News, Oct 1998. 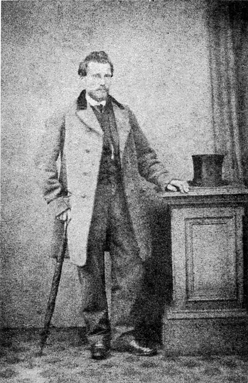 John Simpson Hay in Sunderland in 1868. JOHN SIMPSON HAY was born in 1838 on the island of Flotta. His father James Hay was the school teacher on the island and his mother Barbara Simpson was the island midwife. Given his father’s ocupation, John was probably well educated, giving him quite an advantage in life. After growing up on Flotta he chose to leave the island to work on the mainland’s new railways. It is believed he moved to the North of England to work for the newly formed Great Northern Railway company. Whilst working in the North of England he had a studio photograph taken in 1868, in Sunderland. It is not known what position he had with the Great Northern Railway but he gained sufficient knowledge and experience to subsequently try his luck in South America, emigrating to Argentina in about 1870. 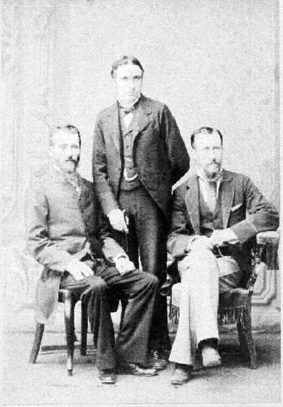 In 1877, he returned to Argentina with Catherine, settling in Rosario. He resumed his career on the railways living in the affluent style of well to do Victorians. Argentina was a land of opportunity for immigrants, and Rosario was a city of great wealth. It had a busy port and railway, large banks and colonial buildings. The city owed it’s wealth to the vast farms on the Pampas, fertile land to the south of Rosario; where cattle were reared and wheat and corn grown for export to Europe. John continued to prosper and was promoted to Railway Agent. He also bought property in the city and stock on the railway. 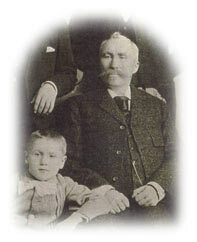 In 1879 their first son John Leighton Hill Hay was born. In 1883 a second son was born James Arthur Colson Hay, and in 1885, a daughter Catherine Isabella Mabel Knight Hay was also born. Although thriving in Rosario there were considerable risks in living there. It was a city of great instability, being frequently overun with disease and political unrest. In 1886, three years after Arthur was born, a large cholera epidemic swept through Rosario, quaranteening boats in the port and ultimately leading to prisoners being released from overcrowded jails so as to reduce the contagion. Sometime between 1886 and July 1888 the whole family left Argentina and returned to Orkney for good. John had made his fortune, but ill health (asthma), was to dog him for the rest of his life on Flotta. 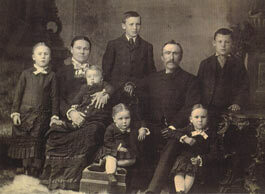 In 1895 after building Bayview on the island, he died, leaving a 39 year old widow to raise four children on her own. 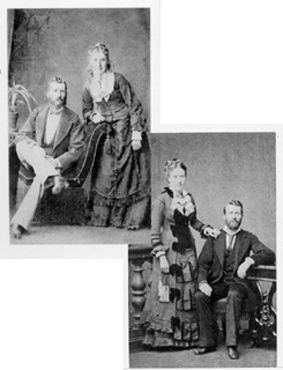 Early photos of John and Catherine, late 1870s. The first was taken in London, the second in Rosario. They married in 1877, John was 18 years Catherine's senior. Submitted by Sheena Hewitt, John Simpson Hay’s great great grand daughter. CHARLES HAY, the son of James and Barbara Hay, was born on the Island of Flotta, Orkney Islands, Scotland, on Oct 28th, 1843. His father was a school teacher there for nearly fifty years. I do not have much information about the family but it seems it consisted of four sons and a daughter. Father’s ambition, when leaving the Orkney Islands, was to be the best man ever to leave there. At the age of seventeen he signed a contract with the Hudson’s Bay Co. for service in Canada and, after a three month voyage by sailing ship, landed at York Factory on Hudson’s Bay. Under the terms of the contract he was to be paid fifty dollars per year and was to receive the food the Company provided which consisted of bread, pemmican and white fish. Largely on account of poor working conditions, poor food and the out- breaks of scurvy amongst the men, he told the factor [manager] at York Factory that he was going to leave the service. The factor said he couldn’t as he was under a seven year contract with the Co. but father told him the Co. broke the contract the day he landed in Canada as he had been hired as a sailor and had done no work of that kind. I do not know exactly how long he was in the H.B.Co. Service but understand it was three years. After that time he left and went to the Red River Settlements where Manitoba now is. There he engaged in the fur trade with the Indians. This was at the time of the civil war in the United States. The custom was to trade goods with the Indians for the furs which they sold to the H.Bay Co. for gold. Some unscrupulous traders traded liquor for the furs but father, being a man of high moral character, did not do so. At that time, on account of the war, the rate of exchange was a hundred per cent in favor of British gold so the fur traders would take the gold to an American town and buy goods. In traveling, they used Red River carts and it was the custom for quite a few of the men to travel together with strings of carts called brigades. This was not so much for protection against the Indians as against white men, who, knowing they had considerable gold with them might rob and even kill them. As this was before the establishment of the R.N.W.M.P., there was no law in the country. I do not know how long Father continued in the fur trade. He always had a partner and the one he most often spoke about was named “Sinclair”. Later he lived in Portage La Prairie which at that time consisted of only two or three houses. On Jan 21st, 1869, he married Annie Munro Wild, who was born in Old Fort Garry where Winnipeg now stands on Feb. 26th, 1854. They had a family of eleven children, ten of whom were born in Portage, while I was born in Vancouver, B.C. Father was prominent in the early days in Manitoba. I wrote the Manitoba provincial archivist for information about him but was unable to get much from him. He wrote that father was first elected for the Constituency of Norfolk to the Manitoba Legislature in 1883, that he was a member of the firm of “Campbell, Hay and Boddy”, a justice of the peace, postmaster and on the council of the Municipality of Portage La Prairie. Written by William John Hay (born 28 June 1890, died 26 July 1971) in 1969 when he resided in Red Deer, Alberta, Canada. Submitted by his grandson, David Palmquist.